Cambridge University New Music Ensemble is an invite-only group which specialises in performing modern music to the highest possible standards. The Ensemble is run by the Faculty of Music and is an associate ensemble of CUMS. If you would like to be considered for the New Music Ensemble, please sign up for a CUMS instrumental audition. 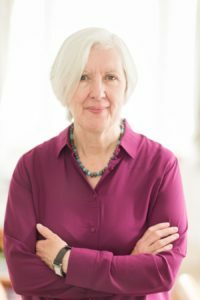 The Cambridge University New Music Ensemble were joined by conductor Patrick Bailey and soprano Donna Bateman in this exciting concert of contemporary music, including a pre-concert talk of Judith Weir in conversation with Richard Causton. The programme featured works by Weir, currently the first woman to hold the post of Master of the Queen’s Music. In this concert, the New Music Ensemble will be performed four of Weir’s compositions, from the solo piano work ‘Day Break Shadows Flee’, performed by Naomi Woo, to the small chamber work ‘Nuits d’Afrique’, featuring soprano Donna Bateman. Also programmed were compositions by the Faculty of Music’s Richard Causton and Jeremy Thurlow, as well as Barbara White and Camden Reeves. 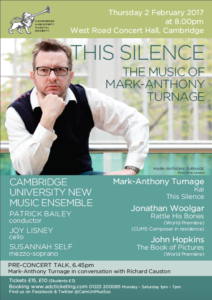 The New Music Ensemble performed music by Mark-Anthony Turnage, one of the most important composers of classical music today, including a pre-concert talk with the composer himself (watch the film here). The concert also featured world premières by John Hopkins from the Faculty of Music and Jonathan Woolgar, CUMS Composer in Residence. You can read a fascinating interview with Jonathan Woolgar about his compositions on the CUMS Blog. One of the most widely-performed composers of contemporary classical music, Mark-Anthony Turnage is renowned for his unique fusion of ‘high’ and ‘low’ culture, resulting in an eclectic, colourful and distinctive musical voice. His output ranges from operas and large-scale orchestral works to chamber music and song cycles, and frequently absorbs the influence of jazz, rock and popular culture. Turnage studied with Oliver Knussen and John Lambert in London and has held residencies/associations with the City of Birmingham Symphony Orchestra, English National Opera, BBC Symphony Orchestra, London Philharmonic Orchestra and Chicago Symphony Orchestra. His music is recorded on labels including Decca, Deutsche Grammophon, Warner Classics and Chandos, and in 2015 he was awarded a CBE for his contribution to British music. He is a stand-out international figure in contemporary music and it was a privilege to perform his music. The New Music Ensemble were delighted to take part in a three-day modern music festival in Cambridge to celebrate the music of Harrison Bitwistle in his 80th year. 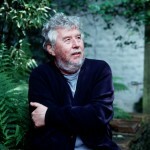 Birtwistle was in residence for three days of music-making showcasing his own work alongside new works by student composers.